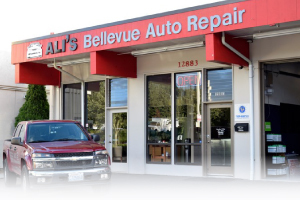 At Ali's Bellevue Auto Repair we are ready to handle any problem your car has or any maintenance that it needs. This includes your vehicle's air conditioning system. 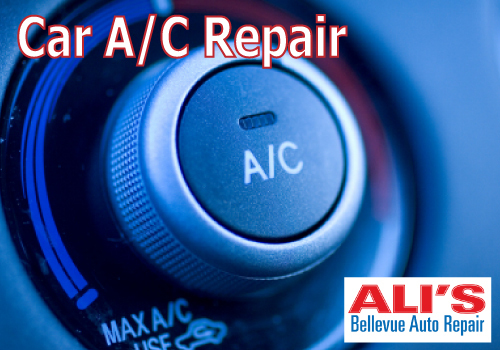 Whether you need it repaired, replaced or just maintained Ali's is ready to help you keep cool. We work on all makes, models, sizes and years of cars and trucks-- so do not hesitate, bring in your vehicle today. When your car is not keeping your cool anymore, don't just suffer, bring in your car to highly-rated Ali's Bellevue Auto Repair. We are proud to service Redmond and have thousands of satisfied customers. We will work directly with you providing cost-effective solutions. We work hard to exceed your expectations and earn your business for years to come. Unlike many local auto repair shops, Ali's has the tools, experience, and training to work on your auto air conditioning systems. When your car is experiencing any of the issues outlined above give us a call and we will provide a comprehensive inspection of your vehicle. We also have a local shuttle that will drop you off for your convenience. Our ASE certified mechanics are ready to help you today!